The Supreme Court voted unanimously in a copyright case that will have a ripple effect across several creative industries. You’ve probably heard a lot of chatter about it on social media — and you’ve probably seen a lot of folks jumping to alarming conclusions. I’d like to have a better understanding of the topic than that. ComicLab ep. 62: What’s your creative process? Brad Guigar and Dave Kellett are talkin’ comics! In this episode, each cartoonist offers a step-by-step guide to their creative process — from the idea stage to posting the finished comic. Then, they take a moment to talk about how real-life struggles can often interfere with our goals as creators — and that’s OK. Finally, a Patreon backer asks how soo is TOO soon to launch a new Kickstarter after their current crowdfunder closes. BUT FIRST, Dave fondly remembers Screwgie, perhaps the only syndicated comic strip written by a baseball hall of famer. 10:49 — What is your creative process? 53:02 — How soon is TOO soon to launch a new Kickstarter? If your taxes are not done by now, stop procrastinating. Get them done. No excuses. 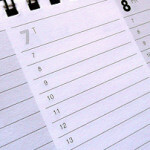 You should have a good sense for the conventions you’re planning to attend for the year. Start purchasing flights, car rentals and hotels now before rates go up. Mark your convention dates on a calendar and put reminders at the four-week, three-week, two-week, and one-week prior points reminding you of the prep you need to do. For example, at the four-week-prior date, you should make sure you have flyers printed and any merchandise either in-house or ordered. Three-weeks out: Double-check hotels / travel and ship materials. Two-weeks out: Start prepping site announcements and tweets to build buzz around your appearance. One-week out: Print your checklist for packing and start getting this ready for the Big Weekend. Take a quick look at your stats over the last four-month period. Are you pageviews and unique-visitor numbers moving in the right direction? Are you getting good results from Twitter? If the numbers are rising, what can you do to keep pushing? And if you’ve plateaued, do you need to start incorporating a new push — whether it’s paid advertising or viral? Convention season is just starting to heat up. This is a great time to order some low-price-point merchandise (like enamel pins). Push yourself to breakout of the mold. Try a new panel structure. Take a risk on a different perspective — or a different kind of writing. Break a few habits this week. Take a moment to look at your last two weeks’ comics upside-down. Could you be composing panels better? 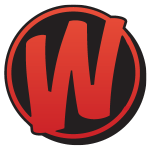 Track how much money you earned as a webcartoonist. This would include Patreon earnings, advertising income, book sales, convention earnings, freelance projects, commissions, etc. Put them in an itemized list and calculate the total. 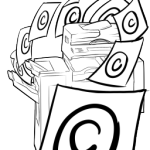 It’s a good idea to have all related invoices and receipts printed out and on file for these items. 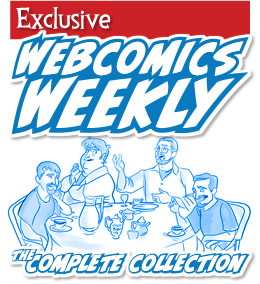 In this section, create an itemized list of every expense you made in pursuit of your webcomics business. This would include printing costs, purchasing drawing tools, new computers, rent for studio space, Internet access, travel expenses related to conventions, etc. If you work from home, you may be able to deduct a portion of your utility bills (electric, heat, Internet, water/sewer, phone, etc.) based on the percentage of your total square-footage that your studio represents. But remember: The IRS insist that if you do this, that studio space be used only in pursuit of your business. It is crucial that you keep all receipts and invoices involves with these transactions. In the event of an IRS audit, you will be called upon to prove all of these expenses. Subtract the total amount of expenses from the total earnings and you have either a Profit (if the result is a positive number) or a Loss (the the result is a negative number). Print this statement and put it in a folder with all of the necessary receipts, invoices, and related paperwork. When tax time comes, you will have a ready-made guide to nearly all of your earnings and potential deductions. It is for this reason — and others — that I always advise that you have a dedicated bank account for your webcomic business. 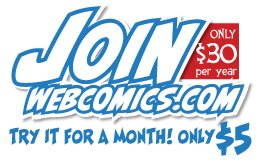 If you relegate all of your webcomics-business-related income and expenses to that account, your monthly statement gives you an excellent head start on your P&L statement. A also strongly recommend that you do this as a monthly habit. Firstly, it’s an incredible boon when it comes down to tax season. Having file folders of P&L statements, invoices and receipts is going to make tax prep much easier than it would have been without them. 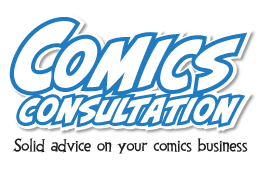 Secondly, it’s a good way to chart the health of your webcomics business from month to month — and that information comes in handy when you have to decide, for example, whether to pull the trigger on that comic convention you’ve been considering. And finally, it’s the only way you can calculate your estimated tax obligation of your CPA has advised you to make such payments. Facebook has rolled out a Patreon-like subscription service — called Fan Subscriptions —for creators who would like to offer premium content for readers. The reaction has been swift — and overwhelmingly negative. Cartoonists Dave Kellett and Brad Guigar are talking shop! They discuss what exact percentage of your readership you can expect to become Patreon backers. That leads into a fascinating trip down Memory Lane as they recall a disgruntled “How To Make Webcomics” reader. Then, they make suggestions on exactly how many tiers a first-time Kickstarter campaign should have. And finally, they make suggestions on Kickstarter stretch goals and add-ons. BUT FIRST, was a part of Stan Lee’s success based on his iconic Look? 36:39 — What percent of your audience are Patreon backers? 51:38 — How many Kickstarter tiers should a first-time creator have? I think it’s one of the pervasive mistakes made by webcartoonists today — they’re doing strips when they ought to be doing longform comics. It’s an easy mistake to make, after all. Most of the webcomics that have caught our attention in the early part of webcomics history (2000-2010 or so) have been comic strips. And that’s why webcartoonists have chosen the strip. And it’s a big reason they may be struggling. A comic strip has a very prominent expectation for today’s reader: The strip has to be a free-standing — and satisfying — reading experience. More often than not, satisfying means “funny”. But that’s not always the case. Nonetheless, the reader comes to a strip expecting a plot to be delivered in three or four panels. And if your writing doesn’t deliver that, you’re losing readers. A few years back, I critiqued a webcomic called Fried Cheese Balls. It told a story of culture & identity from the creator’s life as a second generation Indian American who split time between India & the US. These include lost-in-translation moments, culture clashes, the dichotomy of being a single child living in a big, multi-family home in India, and celebrations of the absurd. 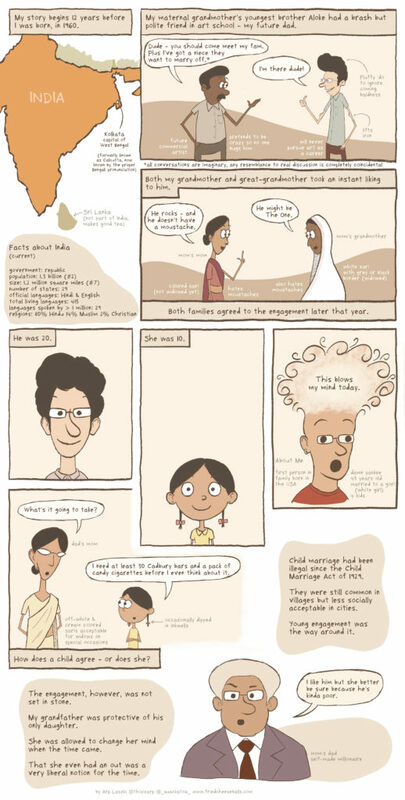 During the time I was critiquing the comic, it was telling the story of the arranged marriage between his mother and father. It was a fascinating story that shared a lot about the culture and history of India along the way. There was only one problem — the creator, Arp Laszlo, has chosen to deliver the story in a newspaper comic-strip format. And the story was suffering. When I reviewed it, I pointed out that the strip were not satisfying reading chunks, and I suggested that Mr. Laszlo consider re-imagining it as a longform comic. This weekend, however, I was delighted to hear from Mr. Laszlo over Twitter. I clicked over to the site, and I was blown away. First of all, the art had matured, but that’s to be expected. More importantly, however, the comic was interesting. It was a much more satisfying experience than the comic had been. I really don’t think that’s the case. 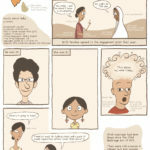 In fact, I don’t think there’s ever been a better time than right now for longform webcomics. 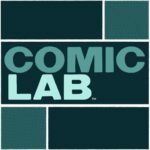 With such factors as the promotional power of social media and the readership’s increased savvy regarding eBooks, I think today’s longform-comics creator has an equal chance of success as a comparable strip creator. Is the new Fried Cheese Balls perfect? Not really. The creator is still publishing this comic as if it were 2005. And I would strongly encourage him to read some of the archive pieces I’ll link to below that outline my thoughts on an improved publishing strategy for longform-comics creators. But that first step — changing from a strip to longform — was a doozy! In this episode, Cartoonists Dave and Brad are talking shop. They share which pieces of original art they would most like to have. Then, it’s on to tips and tricks for selling prints. Next, Brad revisits the “social media/ fool’s gold” discussion. Then, as Brad approached fifty, the lads talk about preparing for old age. That takes a wild turn as Brad shares an AMAZING fact he learned about teaching business to art-school students. And finally, despite Brad’s gain being turned up waaaaaay too high in this recording, a listener asks how they keep their show sounding so good. Most of the time. BUT FIRST… Brad has a dirty throttle body. Just like Dave always suspected. 05:45 — Whose original art would you like you own? Any number of creators have heard a variation of this request — for any number of reasons. And if it hasn’t been Ko-Fi, it has been BuyMeACoffee, LibraPay, or any one of a dozen other upstart start-ups.